If you have a Nissan vehicle that you want to sell, there’s no easier way that contacting Nissan wreckers Auckland, Our team buy Nissan vehicles from all over Auckland for top cash prices. You can call or email us for a no-obligation valuation or to book our vehicle removal team to come to pick up your Nissan. You’ll find more info on our Nissan Car Buyers Auckland. Your Nissan could be quickly turned into a handful of cash! We’ll pay you up to $9,000 for your vehicle and you can get that money within 24 hours. To find out how much we’ll buy your Nissan for, just contact our team or visit the Cash For Cars page for more information on this service. Want to get rid of your Nissan in a hurry? Our car removal team can be there to remove your vehicle within 24 hours of your inquiry. Inquiries placed in the morning can usually be completed in the same day. To find out more about our same-day car removal service, click the link. To book our removal team, contact us by phone or email. We pay cash for almost any vehicle that you’re wanting to sell. While we prefer Japanese vehicles, we’ll buy European and American vehicles as well. We also pay cash for trucks and 4×4 vehicles. 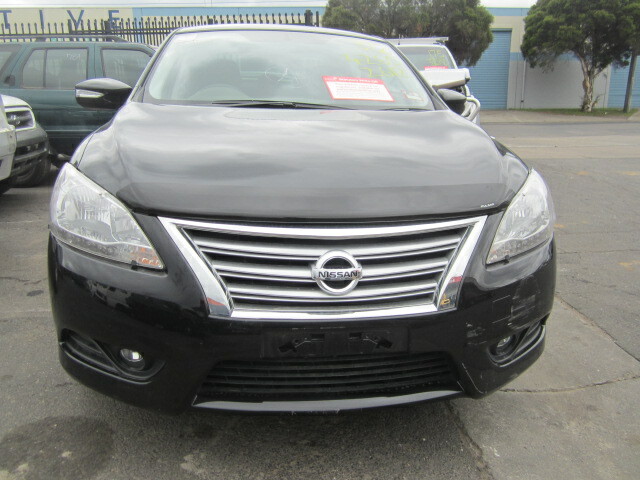 We have a wide range of refurbished Nissan vehicles for sale in Auckland. If you’re looking for a quality used Nissan, we can help you find the perfect vehicle. Some of our stock is listed on our Blog page and you can call us to get a list of current Nissan vehicles in stock. Find out more on our Used Cars For Sale page. cars wrecker was established in 2003 and has grown rapidly to become one of the Auckland’s largest cash-for-cars buyer. We’ve bought thousands of cars from Auckland region to date and continue to buy hundred of cars each week. Nissan Car Buyers Auckland specialize in buying cars for cash giving car sellers an alternative to the usual car selling methods. Instead of trading in or selling a car privately, owners can get an instant online car valuation and sell their car for cash anywhere in Auckland. We have trained vehicle appraisal specialists on hand to help customers sell their car without the traditional cost and inconvenience. Our goal is to give you the fair market value for your unwanted car. Because we’re not a car dealer and don’t sell cars, we don’t have the overhead of fancy showrooms and sales executives. We simply want to help you sell your car fast, safe and fair and provide first class customer service. We know you have choices and there are many cash-for-cars companies out there. Some are reputable, but many are not. You could deal with a mom and pop company who will want to buy your car for as little as possible or you could come to the leading Nissan Car Buyers Auckland specialist. This entry was posted in scrap car and tagged cash for nissan, Nissan Car Buyers Auckland, Nissan Car Buyers Auckland 200sx, Nissan Car Buyers Auckland elgrand, Nissan Car Buyers Auckland maxima, Nissan Car Buyers Auckland navara, Nissan Car Buyers Auckland pulsar, Nissan Car Buyers Auckland silvia, Nissan Car Buyers Auckland skyline, Nissan Car Buyers Auckland south, Nissan Car Buyers Auckland stagea, Nissan Car Buyers Auckland west, Nissan Car Buyers Auckland xtrail, Nissan Car Buyers north shore, nissan car buyers south auckland, scrap my nissan, sell mu nissan to scrappers, sell my nissan, sell my nissan navara, sell my nissan today, wreck nissan for cash on May 7, 2013 by Cars Wrecker.